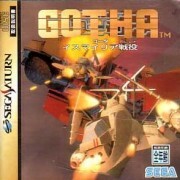 Listening to the Sega Saturn History first volume, I noticed a pretty good track from Gotha 1. I managed to find an ISO and simply ripped the redbook tracks, which is what you’ll find in this archive. The music here is pretty classic for an early Saturn game, and only a couple melodies do stand out, including the very nice main theme.